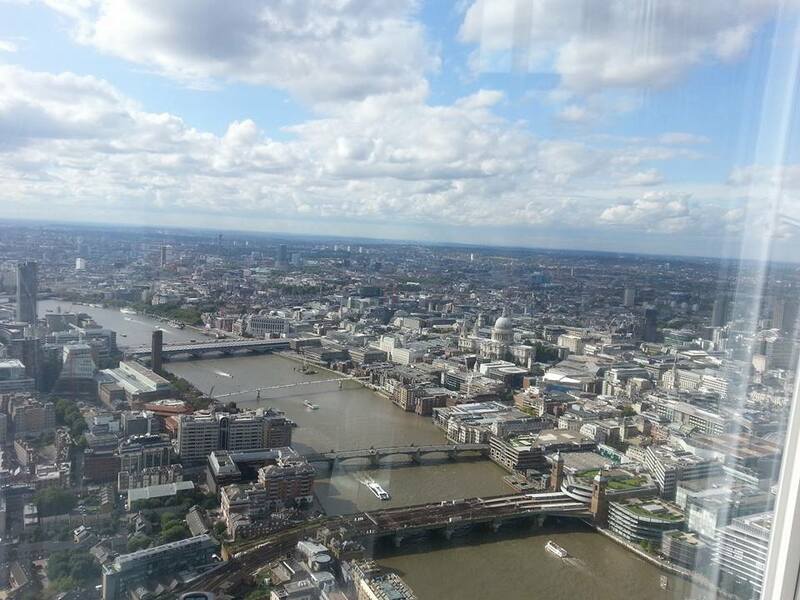 Mum of Five Staying Sane: Our wonderful experience at The View from The Shard. 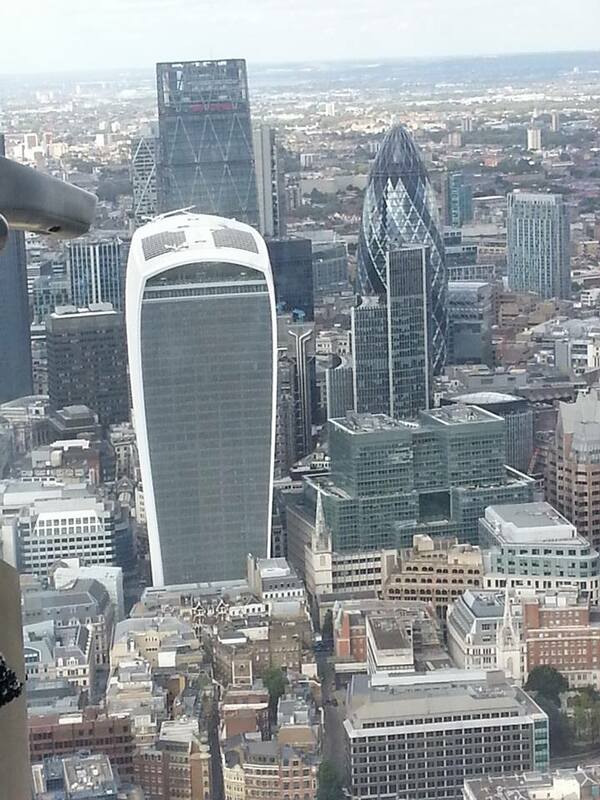 Spectacular views of London. 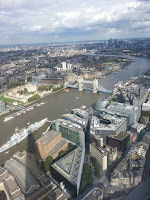 Our wonderful experience at The View from The Shard. 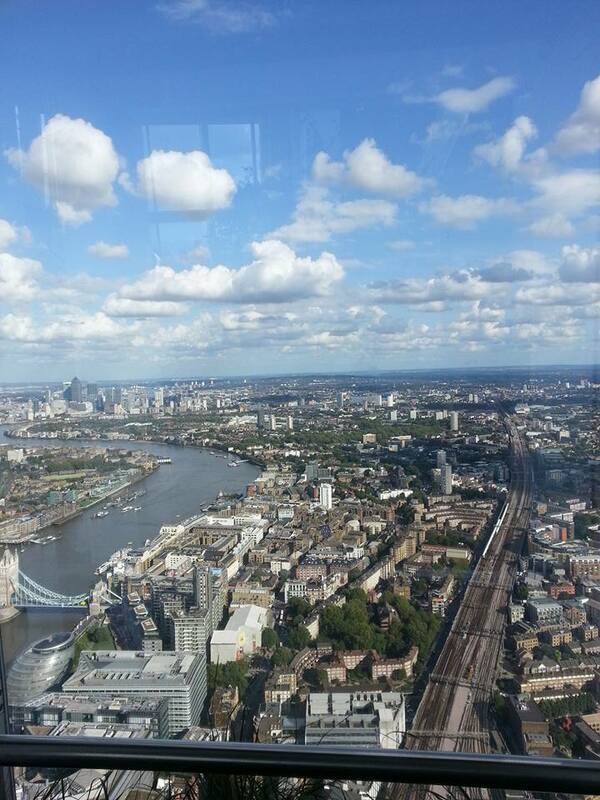 Spectacular views of London. 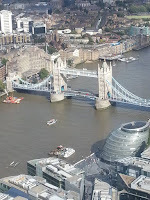 Myself and Dadof5StaySane recently traveled to London for a couple of days away for tenth wedding anniversary. I had everything planned and lots of places for us to visit whilst we were in the capital. 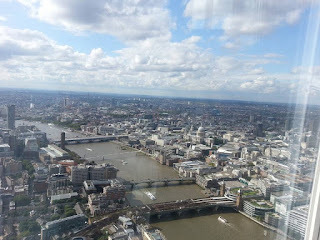 One of the places we visited was The Shard. 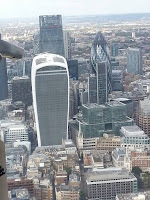 Standing at 1016 feet tall and The View from The Shard occupies the highest habitable floors in The Shard at Levels 69 and 72. 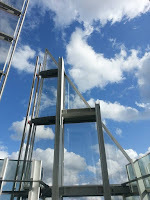 Level 69 is a triple height, light filled main viewing gallery where 360 degree views for up to 40 miles of London are revealed. 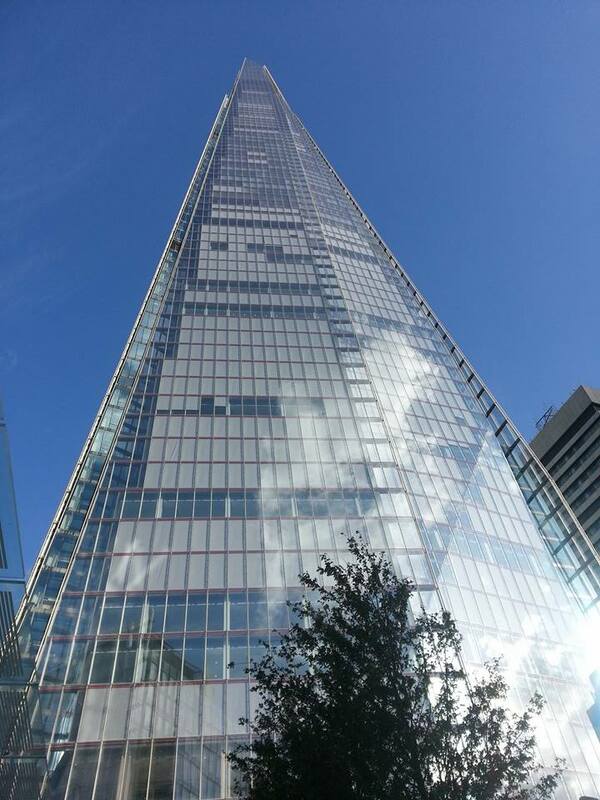 As we walked towards The Shard it looked spectacular. 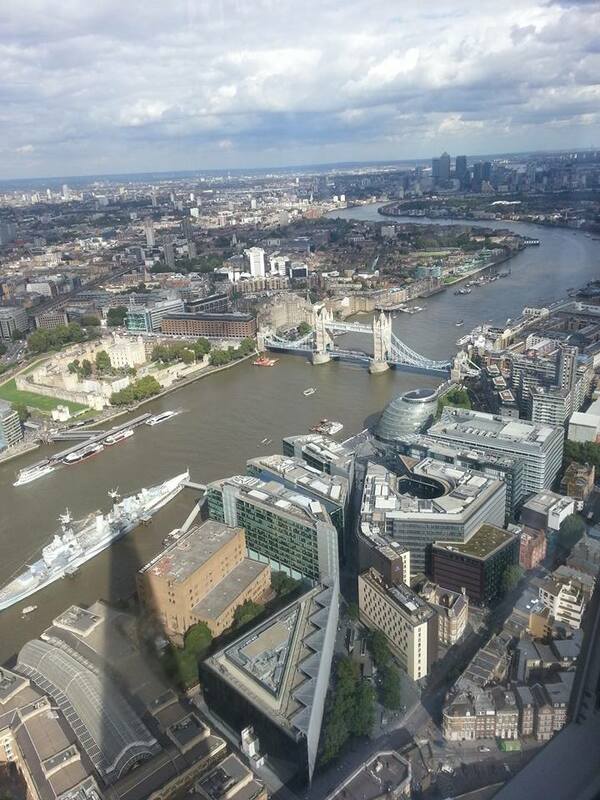 It was a gloriously sunny day so perfect for looking across London. I still hadn't fully appreciated what the views would be like once we got up there though. To access the viewing gallery you ride in one of the lifts that takes you up to Level 69 at a rate of 6 floors per second. Guests also have the opportunity to have their picture taken in front of ‘green screens’ which capture them in front of the perfect view over London. They can also have their faces projected onto the bodies of famous explorers as they and their fellow travellers prepare to travel skywards towards the view. The ‘kaleidoscopic’ lifts feature video screens and mirrors to create the effect of soaring through iconic ceilings and roofs of London. As they travel towards the pinnacle of The Shard so they pass through the dome of St Paul’s Cathedral, the Rubens ceiling at the Banqueting House in Whitehall, the spiral staircase at Monument, and the British Museum’s Great Court glass roof. Level 33 is Transfer zone where guests transfer lifts, they go through an all-enveloping graffiti word map of London. 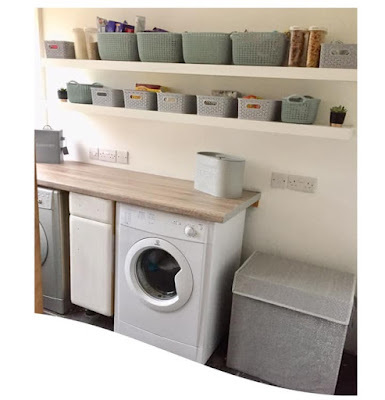 Guests follow an image of the River Thames curving along the floor and see the capital mapped geographically around them in 200 sentences scrawled on the walls and floor, each describing a different part of the city. Guests can test their knowledge of London as they walk through to the next set of lifts. 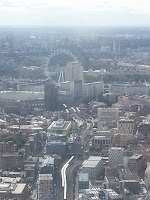 Following the curve of the River Thames down towards Canary Wharf and the view upwards from the open air Level 72. It was glorious weather which made for fabulous views. 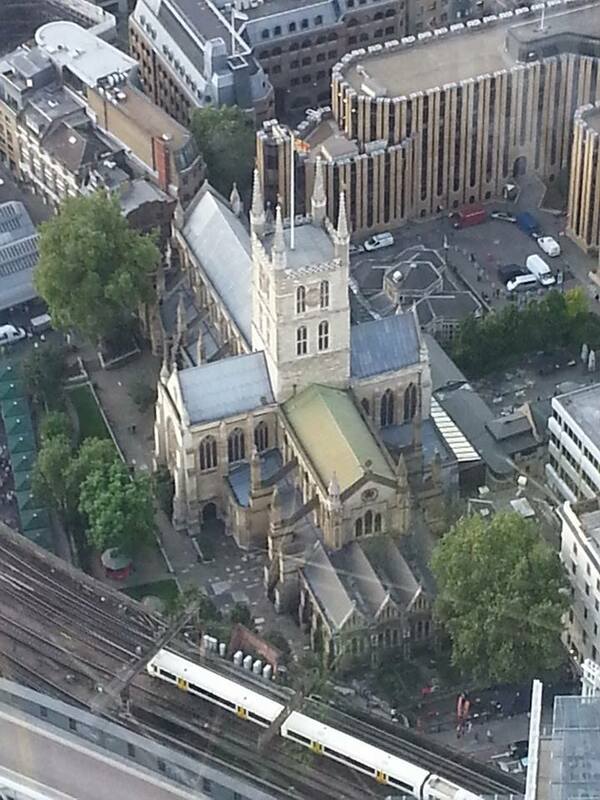 This church caught my eye from down below. 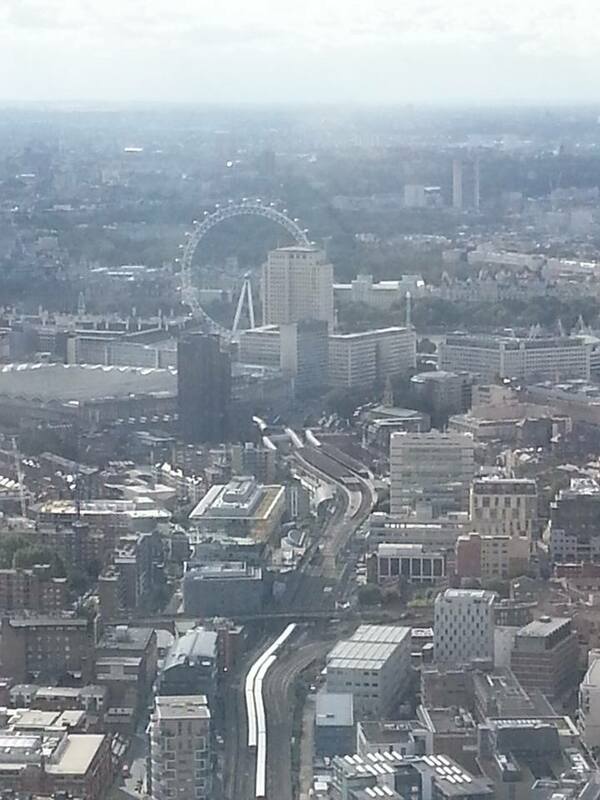 (20 Fenchurch Street), Wembley Stadium, Alexandra Palace, BT Tower. 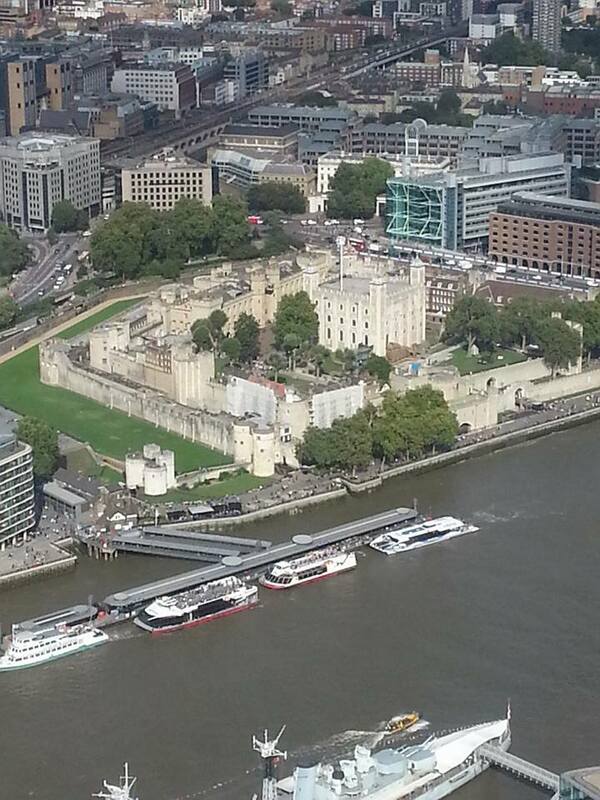 East: The Olympic Stadium, the Tower of London, Tower Bridge, Canary Wharf and the Thames Barrier. 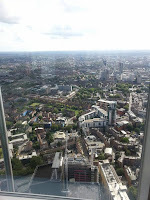 South: Battersea Power Station, The Oval cricket ground, the Strata tower in Elephant and Castle, and the green of the South Downs. London is brought to life on 12, free to use ‘Tell:scopes’ – high-tech digital telescopes that are being used in Europe for the first time. 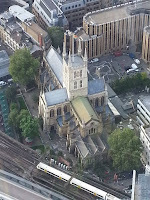 The Tell:scopes enable guests to explore the city around them in real time and also offer guests the chance to browse live, sunset, night-time and historic views of London dating as far back as Roman times. 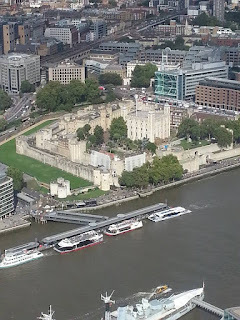 Fully interactive, they are able to identify over 200 famous landmarks and places of significant interest with information offered in 10 languages. We spent a lot of time on Level 69, looking from every viewpoint and picking out all of the landmarks and taking pictures. I loved how you could see the River Thames wind its way along and out of view and looking at all of the different buildings that ran alongside it. After spending quite a bit of time taking in all of the views and taking lots of pictures we ventured further up to Level 72. 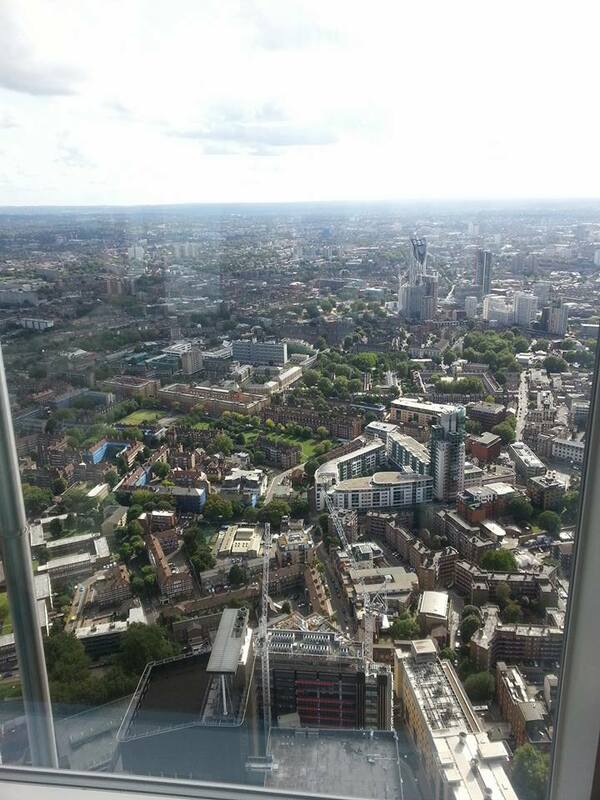 This summer enjoy London’s highest garden space 800ft (244m) above the city at The View from The Shard. national floral favorites including poppies, fox gloves, lavender, marigolds and birch trees have been planted in over 10,000 litres of soil, set amongst a further 750 metres of decorative foliage. Continuing the quintessentially British experience, guests can also enjoy a Fortnum & Mason ice-cream whilst taking in the panoramic views. The summer garden will be on display until 15 September. Level 72 is the open air viewing gallery. Standing at 800 feet and exposed to the elements. Here, at the highest publicly accessible level of the building guests are surrounded by the giant shards of glass that form the sculptural top of The Shard and experience the sounds and atmosphere of the city below. It was lovely on Level 72, there is a small area where you can purchase drinks and snacks and it was a lovely day so ideal conditions to be up in the open air. From here you can look upwards into the very pinnacle of the building. 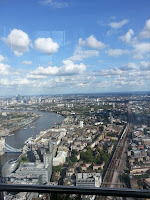 Whilst on Level 72 my husband had a few questions about The Shard and asked one of the employees that was up on Level 72. We had a wonderfully informative chat for about 20 minutes with a employee called Craig who told us everything from the build process, to what is contained within the building, the views and with some very interesting and informative facts about The Shard too. 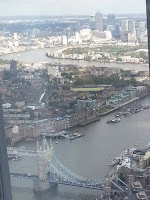 We had a lovely time at The View from The Shard and I highly recommend it to anyone visiting London. Advanced tickets cost £25.95 for adults and £19.95 for children but you can also get on the day tickets too as well as family tickets, night time tickets and various other options are available. 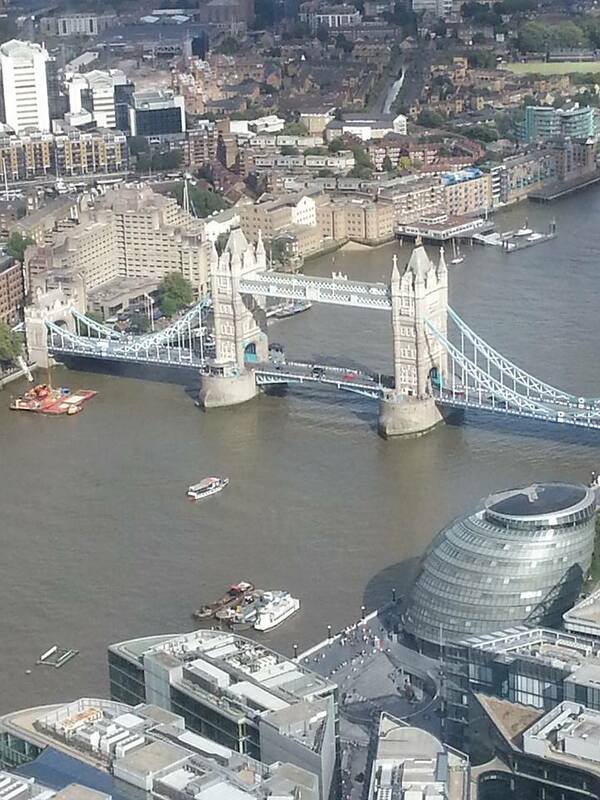 Disclaimer; We were given press tickets for The Shard, all opinions are our own. Me & my partner are heading to London next weekend. 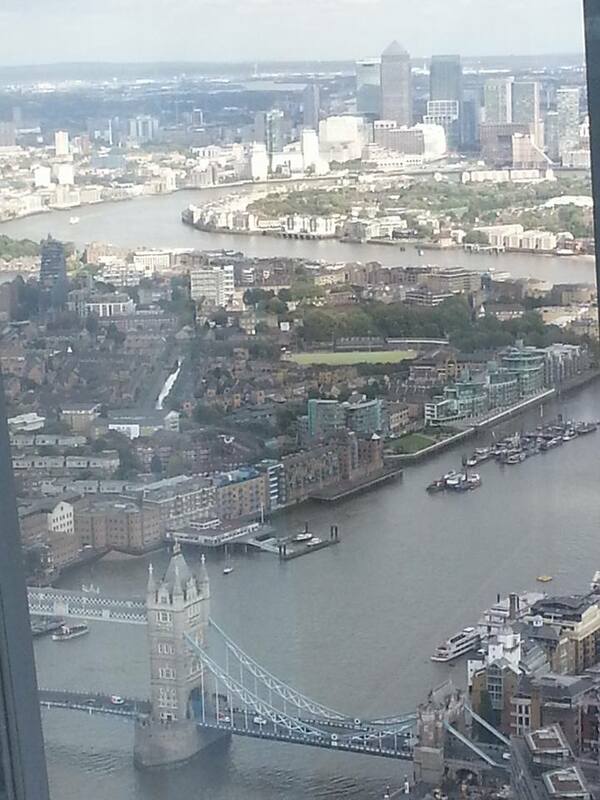 I think we might give the Shard a go, looks like to you get much better views than The London Eye!